WEST POINT — Madison Township trustees are interested in constructing a storage tank for its salt supply. During Wednesday’s meeting, Trustee Gary Williams discussed the township’s need for a salt storage tank, which the township doesn’t have, adding the plan is to seek funding via a Community Development Block Grant (CDBG) through the Columbiana County Commissioners. As it did with the new township garage, which also houses the township’s administrative offices, Williams said trustees will continue to push the need for the tank by contacting the proper individuals. Without a storage tank, the township could lose its salt supply in the event of a heavy rainstorm. The final application for CDBG funding must be submitted by April 16. Williams said that he will be attending a meeting regarding the grant, scheduled for 1:30 p.m. Monday at the old PL&W Railroad Station in Lisbon. That meeting will be at the same time the township has its chip-and-seal meeting with the county engineer’s office, which Trustee Chairman Wayne Chamberlain and Trustee Roger Walker will attend to finalize the list for this summer’s work. Meanwhile, Chamberlain also provided pricing for other projects, much of deals with the old township garage. He said he received a quote of $2,800 (two coats and labor) from Dave Springer for painting the garage; and replacement of downspouts through Seamless Guttering at a cost $600, as well as work on the roof for $1,200. The board will continue to look into the matter. — During his report, road foreman Gary Mitchell said the road department has been filling potholes with cold patch, including along West Point Road as well as on chip-and-seal roads. 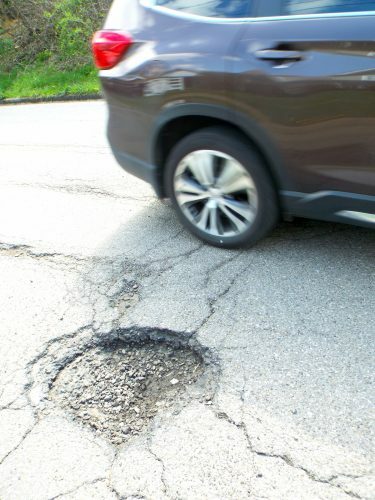 He said while there isn’t much cold patch remaining, the material is still available in case any additional potholes that are brought to the crew’s attention. Mitchell also said the road department has received additional call-outs regarding trees down on Osbourne and McIntosh roads and have handled those matters. — Walker reported a resident on White Road requested a ditch be cleaned and a pipe laid across the side of the road. He said the township isn’t able to handle the matter, and they will check with the county to perhaps utilize their equipment. Walker also reported two trees were needed to be cut, but because they were on power lines, the township wouldn’t be able to handle it due to safety concerns. He said they will wait and see what can be done. — Williams reported a Burton Road resident called regarding the condition of the roadway due to flooding. He said a lot of water can been seen at the bottom of a culvert pipe. In looking at the roadway, he didn’t see any issues, but advised the resident to call back for any further issues. 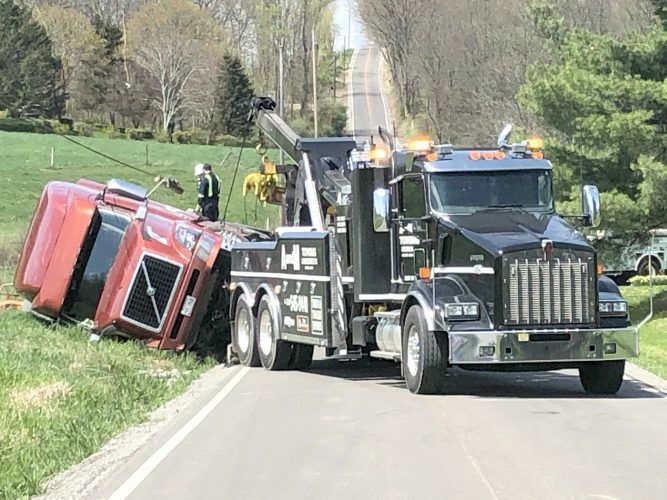 Williams also reported he received a call from John Garwood about purchasing some timber on Hibbetts Mill Road, saying Garwood would use his pickup truck to haul the wood. Garwood reportedly asked if any road bond would be needed, with Williams saying it didn’t appear necessary in this instance. — Trustees approved payment of bills, totaling $6,000.64. The next meeting is scheduled 6 p.m. March 28 at the Madison Township Garage meeting room on state Route 45.